Take a tsp of butter in a pan and fry the spring onion bulbs until golden brown. Now add the chopped herbs and fry for a min. Add half a cup of vegetable stock and cook the herbs by closing the pan with a lid. 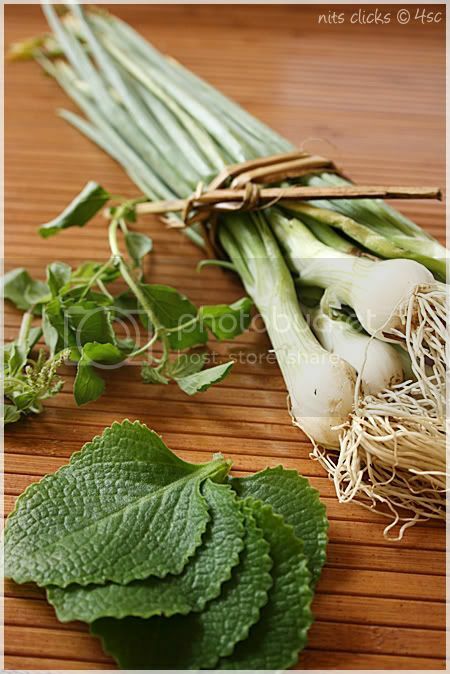 Once the herbs are cooked, allow it to cool for a while. Then grind the it into a smooth paste. Take the ground paste in a vessel and add the remaining vegetable stock, salt and sugar to it and allow it to boil. Simmer the stove, mix corn flour in half cup of milk and add it to the soup. Let it boil for few more mins. You can replace spring onions with any greens of your choice. The herbs are slightly spicy, so taste test it before you add pepper. Skip the milk to have a lighter soup. Add cream instead of milk if you wish for a rich soup. 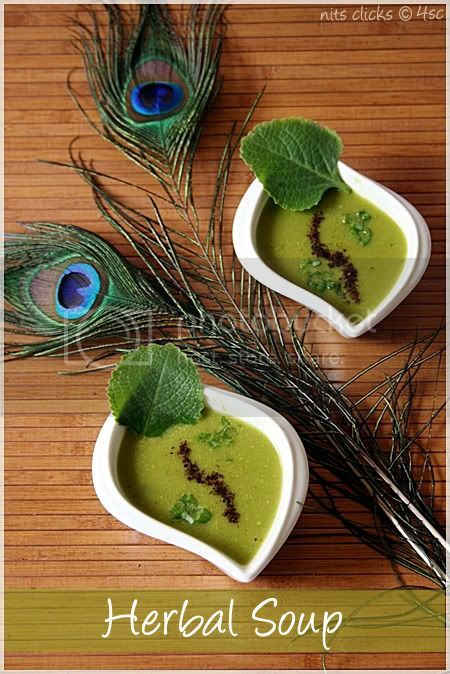 Beautiful clicks nithi with those peacock feathers as props!,Soups sounds flavorful and healthy! healthy soup n cute presentation!! Healthy comforting soup sure good for cold....I want that bowl of comfort right now. Nice presentation Nithi!! Healthy and flavorful soup Nithya,love your presentation. Nithya this is very healthy soup..color looks too good. That a fantastic soup perfect for the season. Pass me that bowl here nithi..Its really very cold and sure this will be comforting one. Clicks with peacock feather is cool..lovely shots. yummy soup and excellent presentation !! 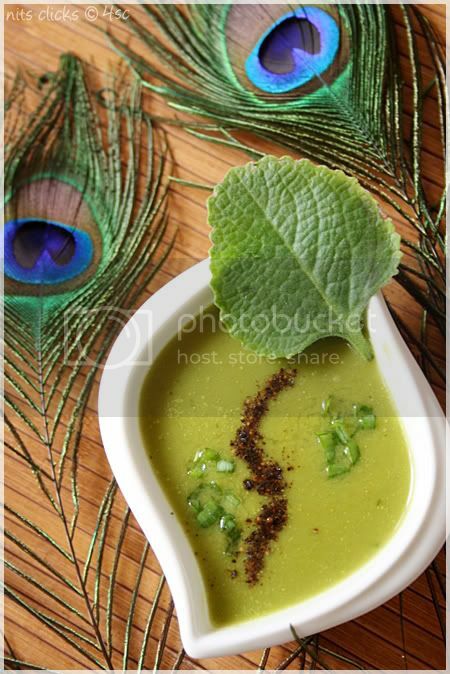 A very comfort and warm bowl of soup, beautiful clicks. what a tempting and drooling soup,healthy too....they look awesome!hats-off u clicks..
Beautiful bowl with healthy soup..The color of the soup is awesome.. 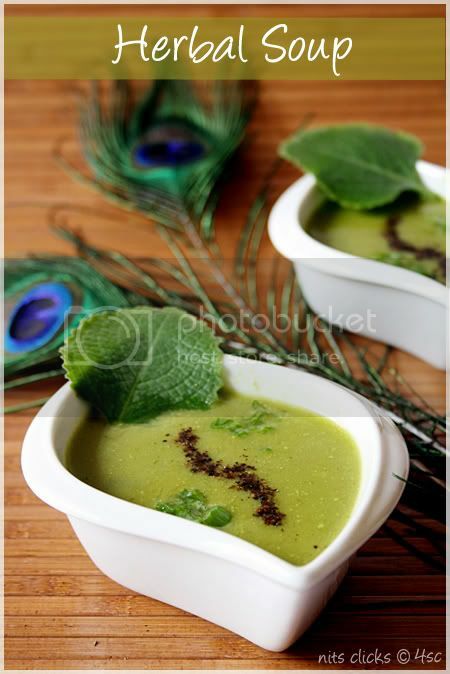 Healthy and comforting soup....beautiful clicks!! lovely pics and a flavorful soup!! didn't know karpooravalli is oregano! it used to be abundant in my house! yummy soup! As usual your presentation is outstanding. I'm sure this bowl of comfort is a yummy medicine that could relieve cold and cough. Thanks for sharing. Very comforting soup. 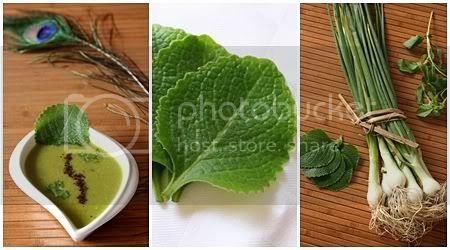 Very nice presentation..
Super healthy clicks! Super cute pics! Nice color combination! Wat a healthy and great looking soup, beautiful presentation..
Oh Nits.. so Karpooravalli is Oregano???!! Thanks for that info! I have it in a pot and give it to kids when they have cold. Never knew we can make a soup of it too..! 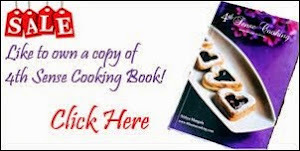 this is a great recipe.. Thanks again! Hey Nithya, I dint know those leaves are Oregano. I researched a bit and found they are called Cuban Oregano and we call them Sambaraballi or Dodda patre. I just love them. Do you have the plant at home? Fabulous presentation, Nithya..Healthy n delicious soup.. I love your blog and the pics are breath-taking. i never knew karpooravalli is oregano! yesterday i made rasam with oregani and tulsi(inspiration is this post). i worked out like magic. Thanks a Lot! After all the doubts raised by blogger buddies, I am still wondering if I said it right!!! I have thoroughly enjoyed reading through all of the content here and am very grateful the you took the time to share it with the rest of the world.